Lounge Club – What, When, Where and IMPORTANTLY Why?! Lounge Club allows cardholders entry to over 350 airport lounges situated throughout 200 airports (as stated on the Lounge Club website). No matter who you choose to fly with, class of ticket or that you haven’t reached elite status with a certain airline, Lounge Club offers cost-effective entry to airport lounges. Rather than operating the lounges directly, Lounge Club has agreements with independent airport lounge operators, airlines and other third parties. The majority of lounges tend to fall within the independent lounge operator’s category, which in the UK includes the likes of Aspire and Plaza Premium. 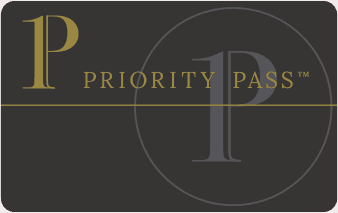 Unlike Priority Pass where members can join through the Priority Pass website (we’ll touch upon that in more detail below), Lounge Club is only available through their business partners. One of the best known partners is the (free for the first year) American Express Gold Card (reviewed here) which offers the Lounge Club card free of charge to credit card holders. This, in addition to the market-leading sign-up bonus and international travel insurance, makes the Amex Gold Card our favourite credit card in the UK market. Regular readers will also know that you’re able to boost your sign-up bonus from 20,000 points to 22,000 points by using this link. If you’re flying from either the North or South terminal, I’d tend to recommend the No 1 Lounges over the alternative options. That said, because they do offer a better product they can get very busy especially during school holidays! I have to admit I rarely fly from Manchester and when I do would usually use my Gold status with BA to access their lounges. Having experienced bad service across a number of Aspire Lounges, I’d likely head over to the Escape Lounges. OK so imagine it – you’ve just arrived in a foreign airport and you have 3 hours until your connecting flight departs. Accessing 4G on your mobile phone at the extortionate rates your provider charges is unlikely to be an option so you decide to hunt around the airport for free Wi-Fi. By the time you’ve found somewhere, completed the free for 30 minute Wi-Fi form, logged onto the Lounge Club website and then walked all the way to the other end of the terminal to access the Lounge Club lounge, you’ve wasted a whole 30 minutes free food, alcohol and relaxation time before your next flight. This is where the Lounge Club app is great. It works with the GPS in your mobile phone to direct you to the closest available lounge. 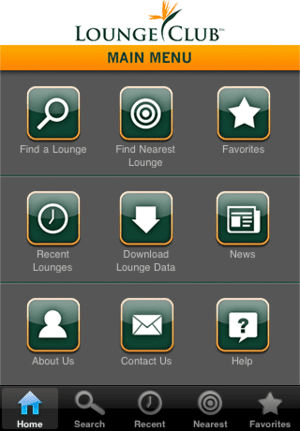 Unfortunately, the developers of the Lounge Club app have allowed it to fall into disrepair and as such it’s no longer available on the App Store. However! Priority Pass uses very similar lounges to Lounge Club so if you’re looking for an app which you can use offline, and whilst it may throw you the occasional curve ball, downloading the Priority Pass app may well be an option! What I haven’t mentioned as yet, is that Lounge Club is actually owned by Priority Pass! Or more technically correct, both platforms are owned by Priority Travel Group which is a subsidiary of the Collinson Group. At this point I’d like to ask you a question. Why does Lounge Club only publish that it has somewhere in the region of 350 lounges when the real number is closer to 800 lounges? Whilst I’m speculating, I believe that the answer is relatively simple. If consumers (that’s me and you) knew that you could gain access to over 95% of all Priority Pass lounges just by signing up to the likes of the free American Express Gold Card it would completely and utterly devalue the Priority Pass brand. So let’s compare this with the Lounge Club access. Assuming you obtain a Lounge Club card through the American Express Gold Card, you’ll receive 2 free passes, with every following visit charged at £20 per person. As such, rather than paying £69 per year to be a Standard Priority Pass member and paying £20 per visit, you’d be far better off gaining the Lounge Club card for free and then only paying £20 per visit (that’s of course once you’ve used up the 2 free passes!). Again, if we compare Lounge Club vs Priority Pass Plus which comes with an annual fee of £189 and 10 free visits, your benefit over Lounge Club for paying £189 would be 8 ‘free’ visits. 8 not so ‘free’ visits at £189 would equate to £23.63 per visit… Far worse than the £20 rate you’d achieve with Lounge Club! Now I have a secret… I hold both the Lounge Club card and Priority Pass card. This is because I have both the Gold card as well as the American Express Platinum Card (reviewed here). Whilst this card comes with a whopping annual fee of £450 pa, the numerous benefits (such as a free Priority Prestige card at £339) outweigh the costs of the card. Note I wouldn’t be prepared to pay or value the Priority Prestige card at anywhere near £339 – read my full American Express Platinum Review here to understand why. Like the Gold card, you can boost the sign-up bonus from 30,000 points to 35,000 points if you use this link and scrolling down to the correct card. Do I need to take my Lounge Club Card with me? Yes – don’t forget your Lounge Club card! The card allows the third-party lounge provider to charge Lounge Club for your visit, which will subsequently be charged to your Amex Gold card. How to gain Lounge Club membership? City National Bank Crystal Visa Card / Benefits: Members and guests have unlimited access with no extra charge. Merrill Plus Visa Signature Card / Benefits: 10 free passes, $27 per visit thereafter. Merrill Lynch Accolades Amex Card / Benefits: 10 free passes, $27 per visit thereafter. Visa Black Card / Benefits: Members and guests have unlimited access with no extra charge. FIA Fidelity Private Client Card / Benefit: Unlimited access for members. Chase Ritz Carlton Rewards Card / Benefit: Unlimited access for member and one guest. Chase Fairmont Visa Signature Card / Benefits: 2 free passes, $27 per visit thereafter. Chase JP Morgan Palladium Visa Signature Card / Benefit: Unlimited lounge access for member and guests. Chase Ritz Carlton Visa Signature Rewards Card / Benefit: Unlimited lounge access for member and guests. As always, access to lounges is subject to availability. I’ve only once been denied access to a lounge due to it being too busy. With the likes of No.1 Lounges you can actually reserve a space for £5 per person which also grants access to premium security. Worth considering if you’re travelling during the school holidays. Are you charged for Lounge Club Access? If you obtained your free Lounge Club membership through the American Express Gold Card the first two visits will be completely free. Every visit thereafter will cost £20 per person and will be automatically charged to your Amex Gold Card. Taking Guests into the Lounge? Whilst dependent on the provider of the lounge, you should be able to take as many guests with you into the lounge as availability permits. You will of course be charged £20 per person for the pleasure! The Lounge Club card provides considerably better coverage than the website lets on with nearly 800 lounges now providing Lounge Club access. If you’re based in the UK your best option of obtaining a free Lounge Club membership is through the (free for the first year) American Express Gold Card (reviewed here). Don’t forget you can increase your sign-up bonus from 20,000 to 22,000 points by using this link. Alternatively, if you’re thinking about purchasing a Priority Pass then we’d strongly recommend against it… It’s far more cost effective to use the free Lounge Club card paying £20 per visit.